Knowing how large of an investment your carpet was, it’s only natural to want to make sure it lasts well into the the future without needing any significant repairs or a premature replacement. To keep your carpets in top-notch condition will take a little effort on your part, but will provide for a much happier, cleaner and healthier living environment. These are some of the most effective carpet cleaning maintenance tips and strategies that you can put into practice as an Arvada homeowner. Vacuuming regularly is the first step to protecting your carpets from a buildup of dirt, allergens, pet dander, dust mites, food particles and any other debris that gets tracked in on the bottom of your shoes. Some people think they can get away with running the vacuum every now and then if they don’t notice any grimy spots specifically on the floor, but what you can’t see is actually the problem. Making this task part of your routine at least a couple times a week is the key to preserving a clean surface. Though it’s extremely important, vacuuming can’t be your only carpet cleaning method. Even the most high-grade vacuums can’t reach all the way down within your carpet fibers to clean them from top to bottom. This is why you must bring in a professional carpet cleaner about every 12-18 months to work wonders with their powerful equipment and solutions. A steam cleaning is your best chance at extracting all those things mentioned above that easily embed themselves in carpet and continue to wreak havoc on your home’s indoor air quality and overall cleanliness. It’s not recommended to ever try DIY carpet cleaning techniques since inexperience and lack of knowledge can often do more harm than good, but there are some instances where you may be able to successfully apply a few home remedies when needed in a pinch. Carpets not only pick up soil, but hang on to strong odors as well, which can become quite unpleasant. Sprinkling baking soda over the floor and letting it sit for awhile before vacuuming it up can help to relieve the stench when you need a quick fix. For stains, there are several items around the house (i.e. white vinegar, club soda, mild detergent, etc.) 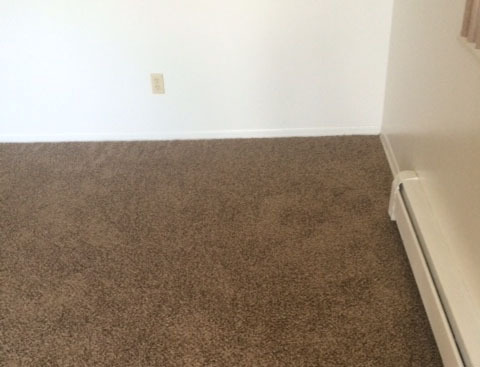 that can work to lift the worst part of it until you get a stain removal treatment from your carpet cleaner. The number one thing to remember is to always treat a small, inconspicuous area of carpet to make sure there is no negative reaction before proceeding with a larger, more noticeable spot. A lot of people don’t realize that the cleaning suggestions contained in the manufacturer’s warranty that comes with their carpet purchase must be reasonably followed in order to maintain the warranty. These care tips are written specifically for your type and style of carpet to ensure you are provided with techniques that won’t cause damage. Do what it takes to follow these guidelines carefully and not stray too far off from them. If you truly care about having carpets that last, these professional Arvada carpet cleaning words of advice can make all the difference in the world.